Electric vehicle sales are pumping, with an ever-expanding network of charging stations around the world facilitating the transition from gas-guzzling automobiles, to sleek and technologically adept carbon-friendly alternatives. With that in mind, the community of car and energy enthusiasts still continue to open up the old ‘Who would win in a fight, lithium vs hydrogen fuel cell technology?’. Are hydrogen fuel cell cars doomed? Imagine being the disgruntled owner of a hydrogen-powered car, only for lithium batteries to completely take the reigns of the industry and in effect, make your vehicle obsolete. It’s not really that wild of a notion, it’s far closer to reality than you may realize, as most electric car vehicle manufacturers consider lithium to be the battery of choice, and a more progressive development tool. Any rechargeable device in your home, like your portable battery, your camera or even your iPhone, is using lithium. It’s clearly felt in the tech world that this is the path of least resistance for the future, but what does that mean for hydrogen fuel cell technology? In 2017, with BMW announcing a 75% increase in BEV (Battery Electric Vehicles) sales, Hyundai came out and announced that they were going to focus almost entirely on lithium batteries. They’re not abandoning their fuel cell programme, but their next line of 10 electric vehicles will feature only 2 hydrogen options. Hyundai Executive VP Lee Kwang-guk stated, “We’re strengthening our eco-friendly car strategy, centering on electric vehicles”. Is it likely that other manufacturers will follow suit? Well, with Tesla’s Elon Musk personally stating a preference for lithium (he called hydrogen fuel ‘incredibly dumb’), and both Toyota and Honda indicating that they will pour R&D funds into this type of battery (despite earlier hesitation), the answer seems to be ‘well, we already have’. 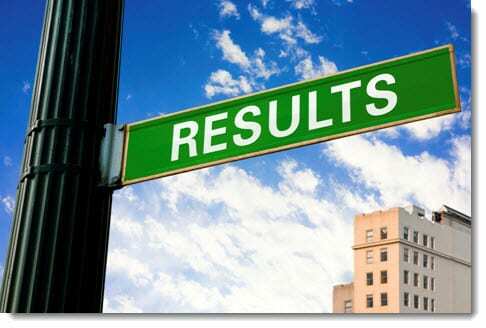 Do ‘refueling’ and ‘recharging’ stations hold the key to success? Did you know that as of May 2017 there were only 35 hydrogen refueling stations in the entire US, with 30 of those in California? Compared to the 16,000 electric vehicle refueling stations already available in the US, with more on the way, it would seem that the logical EV purchaser would opt for a car with a lithium battery. In China, there are already more than 215,000 electric charging stations, with over 600,000 more in planning to make the East Asian nation’s road system more accommodating to EVs. On January 30th, 2018, REQUEST MORE INFO, invested $5m into ‘FreeWire Technologies’, a manufacturer of rapid-charging systems for EVs. The plan is to install these charging systems in their gas stations all over the UK, though they did not disclose how many. So, even on the other side of the Atlantic, building a network of charging systems is a high priority. With ‘Range Anxiety’ (the fear that your battery will run out of juice before the next charging point) being a common concern for EV owners, the noticeably growing network of refueling stations, including those with ‘fast charge’ options, are seeming to settle down the crowd of anxious early adopters. Will the market dictate the winner in the lithium vs hydrogen car battery ‘war’? If we look at the effects of supply and demand, the early clarity of lithium batteries as the battery of choice for alternative energy vehicles meant that there were a great time and cause for development. As a result, between 2010 and 2016, lithium battery production costs reduced by 73%. If this trajectory continues, price parity is a when, not an if, and that when could well be encouraging you to take a trip down to your local EV dealership for an upgrade. Demand for EVs instead of hydrogen fuel cell technology means that some of the world’s largest vehicle manufacturers are showing a strong lean towards lithium batteries. Hyundai, Honda, and VW are all putting hydrogen on the back burner. And whilst market demand for hydrogen is considerably lower, Toyota remains keen on fighting this battle, which they have been researching for around 25 years. Their theory that hydrogen and lithium battery powered vehicles must be developed ‘at the same speed’ is a dogged one. You could say their self-belief was completely rewarded by their faith in the Prius, with over 5 million global sales and comfortable status as the top-selling car (ever) in Japan, so there will be many who tune in to the Toyota line of thinking and overlook the market sentiment. Price will always play a role in purchasing decisions, and with scalable cost reduction methods not yet visible or available for hydrogen fuel cell technology, it looks like lithium is going to be the battery that opens wallets. 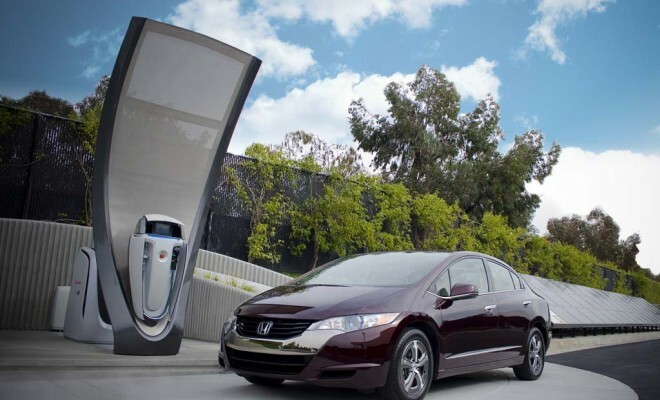 Can lithium and hydrogen car batteries coexist? Sure, they can co-exist, but ultimately one technology is going to come close to a monopoly while the other becomes a collector’s item, a novelty, just a blip in technological history. That’s just one theory of course. Another theory is that the pockets in which hydrogen fuel cell vehicles already exist and are somewhat popular, like Japan and California, will use their powerful economies to almost force their success. Why would they do this? Because the vehicles are far more expensive than EVs by comparison, they had to start in wealthy regions, install fuelling stations and slowly spread out into other affluent neighborhoods. It’s a long game that relies heavily on wealthy regions opting to choose the expensive inconvenience, a feat which could arguably be achieved simply by creating the most visually compelling vehicles rather than the most efficient. Style over substance, for lack of a better phrase. Which will stand the test of time? Looking at this from a scientific perspective, one might say ‘Well, lithium is limited, whereas hydrogen is the most abundant gas in our atmosphere’, and one would be correct. However, science doesn’t always simplify things. Hydrogen is really hard and inefficient to capture, and therein lies a huge obstacle. Hydrogen fuel is hard to make and distribute, too, with a very high refill cost. The final kick in the teeth is that the technology required to capture, make and distribute all of that hydrogen is not very good for the environment, and is arguably no ‘cleaner’ than gasoline. That same technology uses more electricity in the hydrogen-creation process than is currently needed to recharge lithium batteries, and therein lies the answer to this whole debate, right? We aren’t saying lithium batteries will be around forever, but they’re more adaptable, useful, scalable and affordable as a technology, right now. By the time hydrogen fuel cell technology is affordable to the average consumer, we will hopefully have found a true clean energy source. Conclusion: Will the lithium vs hydrogen debate ever be over? To be fair though, this quote from George W Bush would beg to differ, when he is quoted as saying ‘Fuel cells will power cars with little or no waste at all. We happen to believe that fuel cell cars are the wave of the future; that fuel cells offer incredible opportunity’. Well, George, you may have been right back in 2003, but this is 2018. Mike is Chief Operating Officer of Dubuc Motors, a startup dedicated to the commercialization of electric vehicles targeting niche markets within the automotive industry. A Hydrogen Fuel-Powered Truck hits the Road, emitting only Water Vapor! Vehicles powered by alternatives to fossil fuel are on the roll. Literally. The Japanese automaker Toyota is rolling out a new line of vehicles powered by hydrogen fuel cells. A concept version of a long-haul truck with the car manufacturer’s new hydrogen-based engine in it will set out with a full load of cargo from Los Angeles and make its way to Long Beach. “If you see a big-rig driving around the Ports of Los Angeles and Long Beach that seems oddly quiet and quick, do not be alarmed! It’s just the future,” Toyota quips in a statement issued to the press. The trial is part of the Japanese company’s feasibility studies for its brand-new “Project Portal” – a hydrogen fuel cell systemdesigned for heavy-duty trucks. Toyota touts its Project Portal as the next step in its development of zero-emission fuel cell technology for industrial uses. Toyota’s heavy-duty concept truck boasts a beast of an engine with more than 670 horsepower and 1,325 pound feet of torque thanks to a pair of Mirai fuel cell stacks and a relatively small 12kWh battery. The truck’s gross weight capacity is over 36,000kg while its projected driving range is more than 320km per fill under normal drayage conditions. Comparable long-haul trucks, if powered by gasoline, emit plenty of CO2. Not this new one, though. 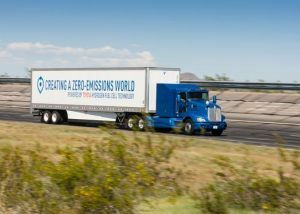 “The zero-emission class 8 truck proof of concept has completed more than 4,000 successful development miles, while progressively pulling drayage rated cargo weight, and emitting nothing but water vapor,” the company explains. You’ve read that right: the truck will emit water vapor and nothing else. This means that the technology, once it is put into use on a wider scale, can help us reduce our CO2 emissions in an effort to mitigate the effects of climate change. Hydrogen fuel cells may have just taken a giant leap forward. Indiana University scientists just announced they’ve managed to create a highly efficient biomaterial that takes in protons and “spits out” hydrogen gas. Called “P22-Hyd,” this modified enzyme can be grown using a simple room temperature fermentation process — making it much more eco-friendly and considerably cheaper than the materials currently used in fuel cells, like platinum. The way the enzyme is created is interesting in its own right. Researchers use two genes from E. coli bacteria inserted into the capsid, or viral protein shell, of a second virus. These genes then produce hydrogenase, the enzyme used to set off the hydrogen reaction. This may sound a little complicated — and it is. Douglas admits that in the past, it’s been hard to harness hydrogenase for biofuel production due to its sensitivity to environmental conditions like warm temperatures. This new method creates enzymes that are much more stable, allowing it to be used more efficiently. Hopefully this discover will help drive down the cost of hydrogen cars — currently the vehicles retail for between $50,000 and $100,000. The IU study has been published in the most recent issue of the journal Nature Chemistry. Science fiction movies such as Ant-Man and Fantastic Voyage excite us about the possibility of shrinking ourselves down to the subatomic level. In the Disney version of The Sword in the Stone, Merlin defeats the sorceress Madam Mim in a shape shifting battle by turning into a microbe which makes her sick. All of these touch upon the power that comes with being able to control what is infinitesimally small. In reality, science has made great progress in this regard. But we’re not quite there yet. The prefix nano comes from ancient Greek meaning, “dwarf.” Mathematically speaking, it refers to one billionth of a unit of measure. For instance, a nanometer (nm) equals one billionth of a meter (0.000000001 meters). This is 40,000 times smaller than the width of a human hair, or around three to five atoms wide. 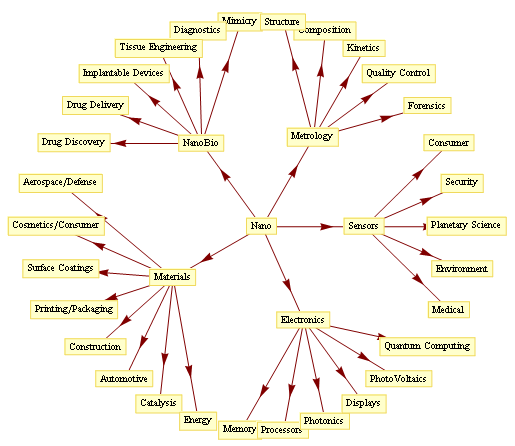 Nanotechnology is the ability to control and manipulate matter on the atomic or molecular level. This new branch of technology is already being used, albeit passively, in sunscreens and cosmetics. But future applications promise so much more. Nanotech could have a revolutionary impact on diagnostics, research, development, drug delivery, tissue repair, detox, surgery, health monitoring, and gene therapy, among other places. Consider a lab working on the subatomic level, able to create microscopic robots and tools to deliver medicines, manipulate the components of a cell, and piece together or take apart DNA. All of this may someday be commonplace in hospitals, labs, and medical centers. Right now, this technology is in its seminal stages, slowly transitioning from the realm of science fiction to science fact. Nanotech could theoretically stretch DNA out like a bundle of wires. The nanobots would carry out repairs, or snip out faulty genes and replace them with healthy ones. This might someday make hereditary conditions obsolete. In 2004, New York University (NYU) chemists were able to create a nanobot from fragments of DNA able to walk on two legs, each a mere 10 nanometers long. This “nanowalker” could take two steps forward or back. Ned Seeman was one of the researchers on this project. He believes someday that a molecular scale assembly line could be fashioned. A molecule could be moved along and put into place by nanobots in order to engage certain health effects. Nanobots are also being used to fight cancer. Harvard Medical School scientists recently reported an “origami nanorobot” comprised of DNA. Researchers successfully displayed how these could be used to deliver deadly molecules to lymphoma and leukemia cells, causing them to commit suicide. At Northwestern University nanostars have been developed. These are star shaped nanobots able to deliver drugs directly to cancer cells. Researchers showed that they could dispatch such drugs directly to the nuclei of ovarian and cervical cancer cells. The body often breaks down such drugs before they can be delivered. Nanostars may someday overcome this problem. 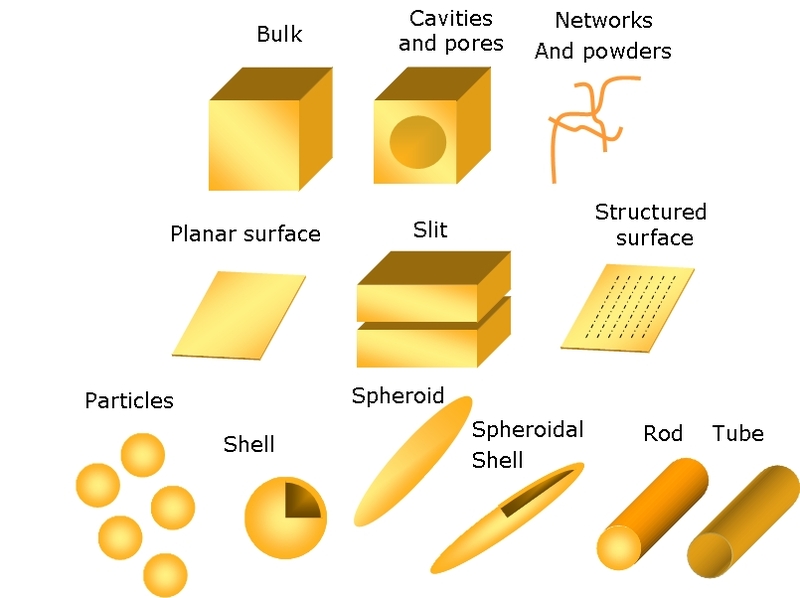 Different shapes of nanotech currently proposed. Now consider “nanofactories.” Researchers at MIT showed how self-assembling proteins could deliver drugs directly to problem areas. So far, tests have been successful in laboratory mice, where nanoparticles released a specific protein when exposed to UV light. This may prove useful in fighting metastatic tumors, or those who send cancer cells to invade other organs and tissues, causing the cancer to spread. Metastatic disease is responsible for over 90% of all cancer deaths. Nanofibers are another innovation coming down the pike. 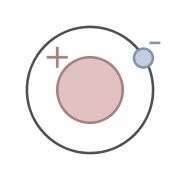 These are 1,000 nanometers or less in diameter. They might serve as components to artificial organs or tissues, surgical textiles, and even the next generation of wound dressings. Another area of promise is medical imaging. Nanoparticles could be used to achieve more precise imaging, aiding diagnostics and guiding surgeons. Matthew MacEwan, of the Washington University School of Medicine in St. Louis, has launched his own nanofiber company. These fibers can be used to repair bone, soft tissue, nerves, and even spinal cord and brain tissue in the wake of a debilitating injury. 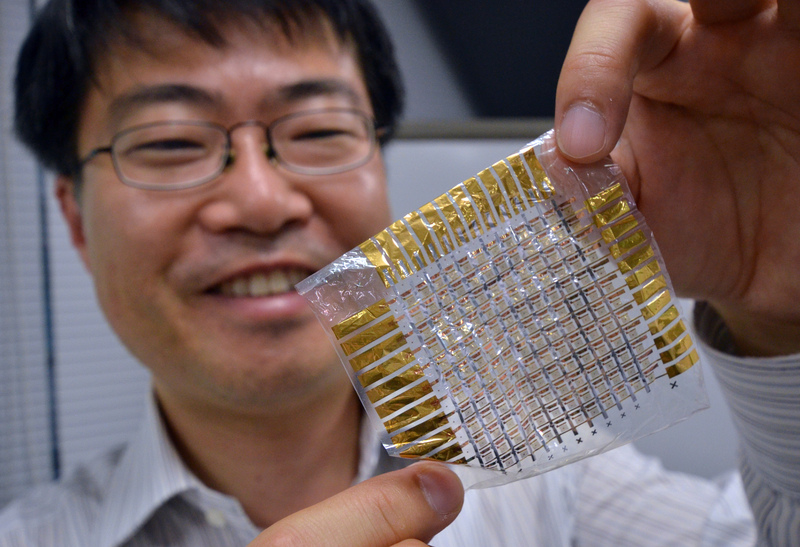 Japanese researcher holding nanofiber sheet. Though these possible innovations in nanotech sound wondrous, there are still many challenges ahead. Being a cutting-edge technology, the cost is high, limiting research and the ability to scale up production. This causes timetables to be stretched much farther out. A segment of the public is also wary of nanobots swimming around in their systems. Some are worried that the small size may cause complications, though there is no indication thus far that this technology is at all dangerous. In fact, most researchers in the field say these particles are less toxic than your average household cleaning product. Nanoparticles are simply a part of nature. Theoretically however, if they do end up in the wrong part of the body or malfunction, they might cause disease instead of alleviating it. Then there are more ghastly fears. Could nanotech create robots which enter our brains and cause us to comply with government wishes, a new kind of 1984? Might it lead to an undetectable weapon able to propagate a new kind of terrorism? For now, these fears remain in the realm of science fiction. Whether or not future innovations allow these possibilities to surface is still up for debate. Today, the cost is too great for such worries to materialize, even on the molecular level. Scientists at the Center for Nanoscale Materials have demonstrated that a microwave synthesis technique can help create nanostructured MoS2 catalysts with an improved ability to produce hydrogen. Theoretical calculations show the microwave-assisted strategy works partially through a change in the interaction between the hydrogen and MoS2 edge sites when the space between individual layers of MoS2 nanosheets is increased. The increase in space also exposes a larger fraction of reactive sites along the edges of these surfaces where hydrogen can be produced. Protium, the most common isotope of hydrogen. Image: Wikipedia. Hydrogen fuel cells promise clean cars that emit only water. Several major car manufacturers have recently announced their investment to increase the availability of fueling stations, while others are rolling out new models and prototypes. However, challenges remain, including the chemistry to produce and use hydrogen and oxygen gas efficiently. Today, in ACS Central Science, two research teams report advances on chemical reactions essential to fuel-cell technology in separate papers. Hydrogen (H2) fuel cells react H2 and oxygen (O2) gases to produce energy. For that to happen, several related chemical reactions are needed, two of which require catalysts. The first step is to produce the two gases separately. The most common way to do that is to break down, or “split,” water with an electric current in a process called electrolysis. Next, the fuel cell must promote the oxidation of H2. 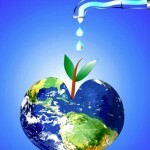 That requires reduction of O2, which yields water. The catalysts currently available for these reactions, though, are either too expensive and demand too much energy for practical use, or they produce undesirable side products. So, Yi Cui’s team at Stanford University and James Gerken and Shannon Stahl at the University of Wisconsin, Madison, independently sought new materials for these reactions. Cui’s group worked on the first reaction, developing a new cadre of porous materials for water splitting. They notably used earth abundant metal oxides, which are inexpensive. The oxides also are very stable, undergoing the reaction in water for 100 hours, significantly better than what researchers have reported for other non-precious metal materials. On the side of oxygen reduction, Gerken and Stahl show how a catalyst system commonly used for aerobic oxidation of organic molecules could be co-opted for electrochemical O2 reduction. Despite the complementary aims, the two studies diverge in their approaches, with the Stanford team showcasing rugged oxide materials, while the UW-Madison researchers exploited the advantages of inexpensive metal-free molecular catalysts. 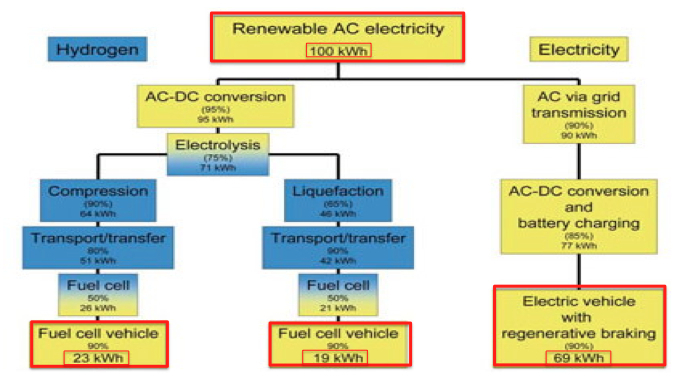 Together these findings demonstrate the power and breadth of chemistry in moving fuel-cell technology forward.